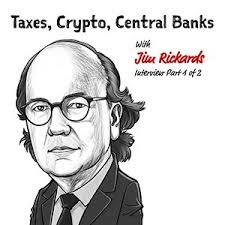 In this episode, Preston and Stig talk to the world renown economist and central banking expert, James Rickards. Jim is the New York Times Best Selling Author of books like Currency Wars, The Death of Money, and A New Case for Gold. Jim has worked on Wall Street for more than 35 years and his comments and commentary is frequently aired on CNBC, Bloomberg, and countless other national level news organizations. And his books are on the recommended reading lists at places like Bridgewater Associates and major banks. Our interview with Jim is two episodes long, so on today’s show, we cover a couple different topics. First, we talk about Jim’s thoughts on the Tax bill. What has happened, and what he expects to happen moving forward. Jim talks about portfolio allocation, and we even get him to talk about crypto-currencies. Tweet your comments about this episode directly to Preston, Stig,and the rest of The Investor’s Podcast Community using #TIPMoney.